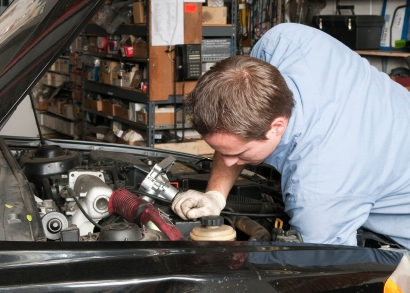 Summertime is a tough season for your vehicle's engine. While it's easy to shed your cold weather wardrobe and dress for summer sun, your engine has a tougher time coping when the climate heats up. 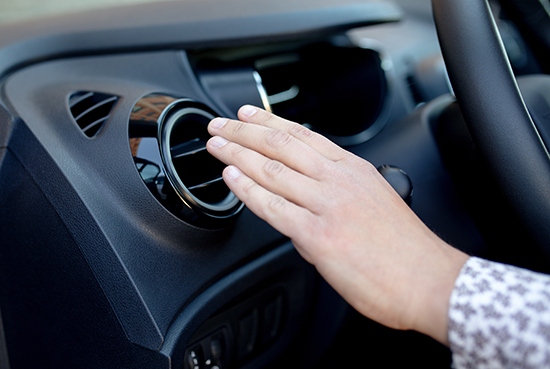 Here are a few tips on how to help your motor survive warmer weather when the sun starts making regular appearances and your fancy turns to thoughts of driving. Your motor's first line of defense against high temperatures is engine oil, the gooey lubricant that keeps those moving parts from melting down. But as ambient temperatures rise or fall, your engine's oil needs change. When oil is cold, it thickens; when it heats up, it becomes less viscous, or more watery. The differences are crucial when it comes to protecting your engine against extremes in weather: on one hand, your oil needs to be thick enough to seal tiny gaps in your engine and properly lubricate metal-against-metal surfaces. On the other hand, the oil has to be thin enough to move easily and circulate where your engine needs it the most, but if it becomes too thin, it can wear down and lose its cooling efficiency. Oil viscosity is measured using two numbers and a letter. With 10W-40 as an example, the first number (10) refers to the oil's thickness at cold temperatures (0º Fahrenheit, to be specific), and the latter signifies the oil's thickness at high temperatures (212º Fahrenheit.) While the first number is crucial if you live in snowy climates and want to ensure your engine is protected at startup, the latter is more important once your car is warmed up and revving its way down the road. In general, warm weather calls for thicker oils since they start at a higher viscosity and don’t become too thin when the engine heats up further. More demanding duty—ie, towing a trailer uphill on a blistering day—should preclude you from picking too thin an engine oil, as the extra strains on its performance might make it break down when it gets excessively hot, and therefore, less viscous. 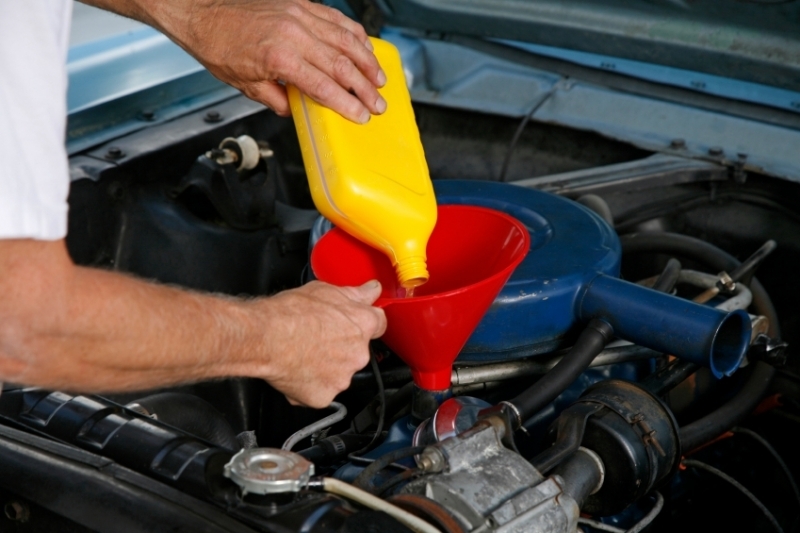 Types of engine oils also offer varying degrees of protection. Synthetic oils can maintain a more consistent viscosity over a broad range of temperatures, but they're also significantly more expensive, and sometimes incompatible with certain older engines. Synthetic blends include a combination of both natural (or organic) and synthetic oils, and offer many of the benefits of the pricier stuff without the steep cost of entry. Premium conventional oils are higher quality natural offerings with elevated levels of protection. 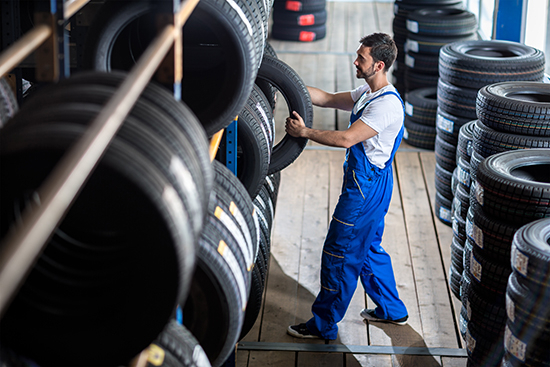 At the end of the day, your selection of oil type and viscosity will depend on the climate in which you drive, compatibility with your vehicle, and of course your budget. The single most important source of information regarding your engine oil's specifications and warm weather needs is your car's owner's manual; read carefully, and maintain accordingly.